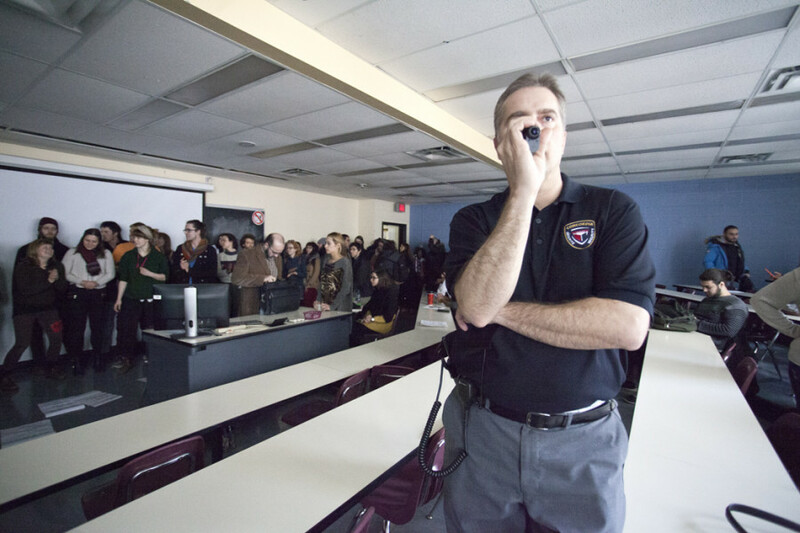 A student calls the 911 saying that “masked students protesting have invaded” his classroom. Photo Alex Bailey. Strikers demonstrating in room H-110. Photo Alex Bailey. Strikers taking the protest to MacKay street. Photo Shaun Michaud. Why are people yelling in the streets? You may or may not have heard a thing or two about austerity in the past few weeks. So what is austerity anyways? On a student level however, the term takes on a much different meaning. “We’re trying to build a social movement, and something that’s going to last,” said Camille Godbout, a spokesperson for the Association pour une solidarité syndicale étudiante (ASSÉ). “We hope to tell [the government] that they need to stop putting private profits and also the profits of big corporations on top of social benefits and our quality of life,” Godbout continued. Québec (FEUQ) and ASSÉ, as well as informal organizations like Comité Printemps 2015 and Solidarity Concordia. They have been working on garnering support for the movement and denouncing the provincial government’s economic policies since the cuts were announced. The main players: how are organizations working together? There are several organizations across campus and across the province campaigning against austerity and mobilizing student strikes. According to Muller, Solidarity Concordia acts as a platform that serves to raise awareness within the university. The group was created in October by Concordia students who disagree with the Liberal government’s budget cuts and the Parti Québécois cuts which preceded them. “It’s not an organization per se, it’s more like a group of people who are concerned,” Muller said. On top of spreading information across campus, the group provides individuals with examples of how to hold general assemblies and what strike mandates look like. Printemps 2015 is a collective of several activist groups who are mobilizing, and represents one of the major anti-austerity forces this spring. It’s a mobilization platform intended to unite students, workers, unemployed people and people from all sectors of society to work towards building a social strike. Their initiatives focus on social change and student mobilization. Their symbol? A howling wolf. “Wolves organize horizontally as well; they have strong solidarity structures and they’re more combative,” said Brice Dansereau-Olivier, a member of Comité Printemps 2015. The FEUQ is a student group with over 125,000 student members and 13 member associations, including the Concordia Student Union. It’s a more research-oriented student association than ASSÉ, and has been criticized by more militant groups in the past for providing police with protest itinerary and signing on to government compromises. ASSÉ and join FEUQ, the former association represents students in Concordia’s School of Community and Public Affairs. Different protest groups share a lot of information, according to the CSU’s VP External and Mobilization Anthony Garoufalis-Auger. “There’s a political culture that exists of solidarity among campuses, and of decision-making bodies that are democratic, but also formalized and institutionalized,” he said. Concordia security officials recording the strike. Photo Shaun Michaud. The safety of students and staff is the first priority, President Alan Shepard told the Concordia University Part-Time Faculty Association’s General Assembly last Thursday. He added that by using the term “strike,” the school is not giving up any legal ground. He is also upset by the approximately $30 million cuts in funding and feels his administration is “walking a tightrope” with student and government demands. Although things can change every day, according to Concordia University spokesperson Chris Mota, classes will run as usual for faculties and departments that are striking on future dates, such as SoPhiA, which has a weeklong strike planned. Mota adds that the decision to use the term “strike” was made by the senior administrators because it’s widely used by media, and they wanted to avoid confusion. Communications students and Geography graduates are voting on March 26. The Sociology and Anthropology Student Union (SASU) is voting on March 31. On March 23, no classes were held for Fine Arts, Geography, Philosophy, Women’s Studies and School of Community and Public Affairs students. Pretty much every day until early April has its own protest or demonstration, but the most symbolic ones are being held on March 26, when the budget is set to be tabled, an ASSÉ-led general protest on April 2, and every Saturday for the next few weeks. In the 2012 Maple Spring protests, some students won injunctions in Quebec courts that legally mandated their right to bypass a picket line of protesters. This time around, the majority of student associations that voted to strike have included a clause that picket lines be used to disrupt classes. The debates over having “hard pickets” versus “soft” ones have been popular at the general assemblies. A hard picket denotes that individuals will physically block—presumably nonviolently—a classroom or building, while a soft picket means that people at the entrances will encourage professors and classmates to skip class. 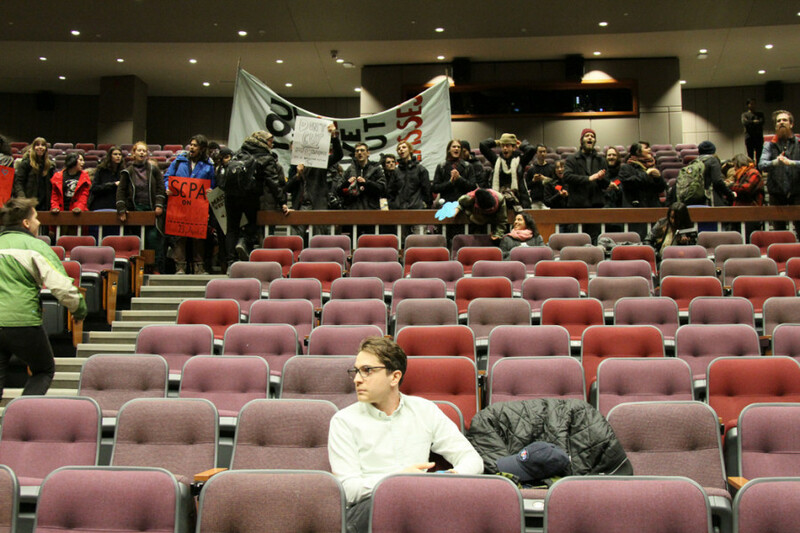 Many students associations specified “hard picketing” professors while “soft-picketing” classmates. The Liberal Art Students said they will “hard picket” staff and students. “The problem with soft picketing, as I see it, is that it amounts to a boycott and not a real strike, because if you only soft picket then people will still go to classes,” Aloyse Muller explained. “I think it’s more important to enforce a hard picket than to go on strike for a long time. Hard picketing is not a violent procedure. Usually violence starts by people who want to go inside, not people who hard picket,” Muller said. The idea behind blocking only professors is to prevent them from holding classes, without confronting students on top of that. To avoid conflict and show solidarity with classmates, picketers will be able to effectively cancel class so students aren’t penalized for striking. At the Graduate Students of Philosophy general assembly, some made the case against singling out professors, many of whom are their colleagues. Professors are contractually obligated to teach and shouldn’t be prevented from doing so, they argued. Security will not be removing students from picket lines. As students and unions march in the street, activists are raising awareness about oil-transporting projects like Energy East and Line 9B. The coalition of students against pipelines, Étudiants et étudiantes contre les oléoducs (ÉCO), includes more than 100,000 students from associations across the province calling for an end to pipelines and bituminous oil development, better known as the tar sands. The cuts in universities are undermining the institutions’ abilities to think freely, he says. Instead, universities rely more and more on corporations and producing information for the private sector, which doesn’t necessarily contribute to the public. After changing governments twice, students find themselves in a very similar position today to that of the 2012 Maple Spring. Critics of the 2012 student movements tried to discredit the use of the term “strike,” saying that unlike labour unions who have the right to enact one, students don’t produce public goods or services and therefore can’t strike. “Boycott” was a more representative word, some argued. The protesters disagreed. This year, activist groups like ASSÉ and Comité Printemps 2015 are instead broadening the issue to all aspects of society. 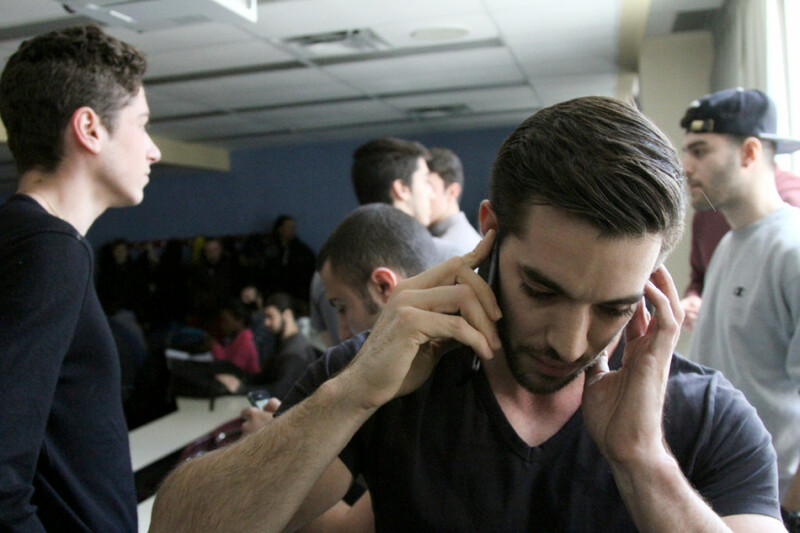 According to the Quebec Labour Code, which a student association technically doesn’t fall under, a valid motion to strike must be conducted through a secret ballot. 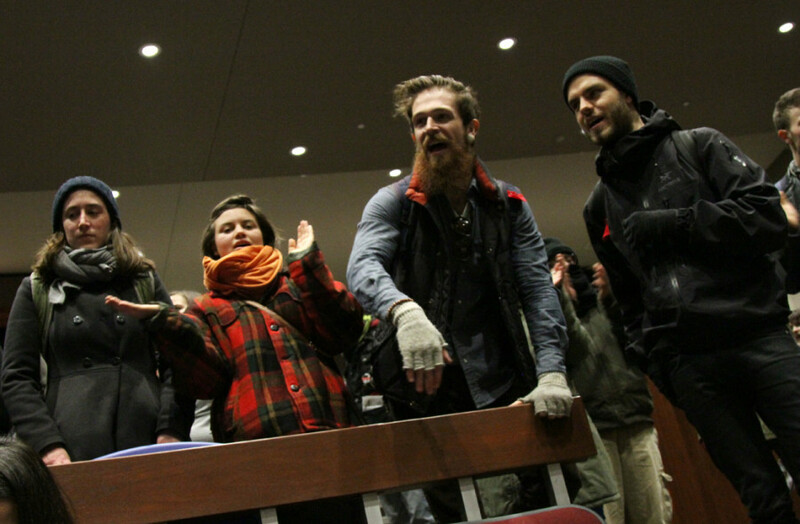 Apart from philosophy and political science students, all general assemblies have been decided by a hand count. If teachers arrive at their classroom and there are no students present, they must wait 15 minutes before cancelling class. However, if a near-normal number of students arrive, then the teacher must proceed with class as usual. CUPFA’s statement also encouraged teachers not to relocate their classes to an off-campus location on protest days, as it could present liability and legal challenges. Teaching and Researching Assistants at Concordia (TRAC) is in opposition to austerity cuts and “applauds” the student strike initiative, according to a statement by President Nader Jafari Nodoushan on TRAC’s Facebook page.